You might be surprised to think how many of your favourite holiday destinations have sprung up on the slopes of volcanoes. So we thought it was time to celebrate them. There are sunshine-soaked islands where resorts cling to slopes formed in long-ago eruptions. Or visit lands alive with geo-thermal activity – where you can enjoy naturally heated waters and adventurous types can sometimes climb to still-smoking craters. 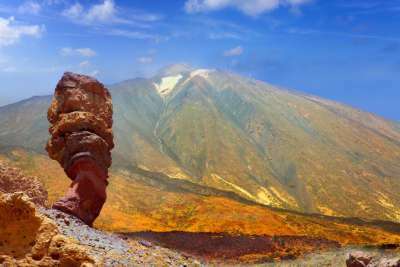 One of our favourite winter-sun destinations is also home to Mount Teide, which is both the largest peak in Spain, and Spain's most visited natural wonder. And the good news, if you have always wanted to scale a volcano, is that there's a cable car that takes you almost to the top (you'll need to obtain a permit to climb the final 200 metres). The experience at the top varies by season, but the spectacular landscape always makes an exhilarating daytrip from Tenerife's golden sand beaches. Iceland's Eyjafjallajökull volcano hit the headlines with its travel disruption a few years ago. 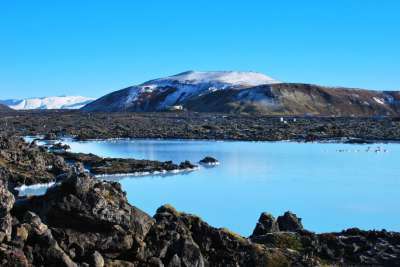 But Iceland's other volcanoes are far kinder to travellers - it's an excellent destination for enjoying the wonders that accompany areas of volcanic activity. Just over an hour outside of Reykjavik you can visit the lively Strokkur geyser and surrounding boiling mud pools. More relaxing is a trip to the Blue Lagoon, with its geo-thermally heated waters. 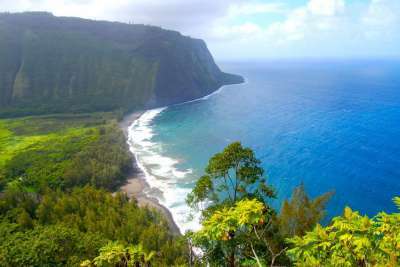 A dream destination for many, Hawaii is a volcanic archipelago set in the central Pacific Ocean. Its reputation encompasses tropical beaches, hula and surfing, but it's also loved for its dramatic landscapes, with volcanic mountain slopes coated in rich green flora. Hawaii island is the best if you want to visit the active volcanoes. As well as Hawaii Volcanoes National Park, the island is home to some unique volcano-formed features, like brightly coloured beaches. As well as golden sands, you can sit on black crystals at Punaluu, and there's even green sand at Papakolea Beach. Volcanoes have gifted a lot to Santorini. 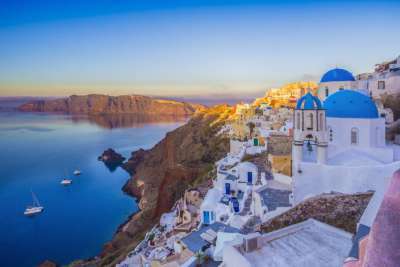 The pretty Greek island of Santorini is the remains of volcanic eruption - which gave it it's crescent shape and those steep cliffs, now iconic for their climbing sugar-cube villages. There's also the islets of black lava in the central lagoon, the island's distinctive sea view. Santorini is also blessed with coloured sand beaches - from shades of grey and black to the unmistakable Red Beach. Japan is another volcanic land, where hot springs are common - a trip to a traditional onsen (a hot spring bath) should be an essential part of any trip. 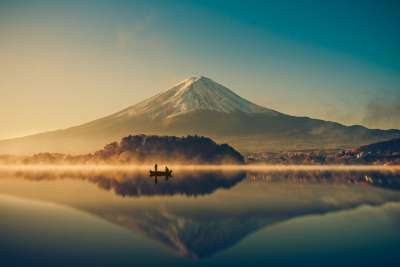 But the most famous of its volcanoes must be its tallest peak, Mount Fuji. This exceptionally symmetrical cone, frequently capped with snow, has become the template for how a mountain should look. The peak is only 60 miles from Tokyo - and can sometimes be sighted from the capital on a clear day. However there are plenty of hot springs, caves and shrines to explore near Fuji if you decide to come for a closer look. The ancient city of Pompeii is a must-visit attraction for history fans - famously the eruption of nearby Vesuvius buried the Roman town. This preserved the original streets, buildings and in some cases, residents, creating an astounding archaeological site. 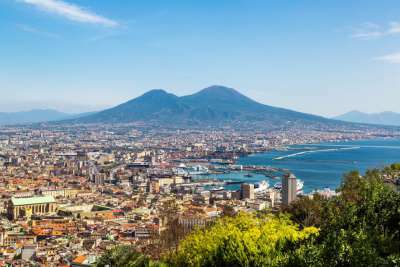 You can also climb the currently dormant Mount Vesuvius itself, although it's also OK to just enjoy its dominating shape from several of the nearby popular holiday destinations. It can be seen from the island of Capri, or ocassionally glimpsed on drives along the Amalfi coast. 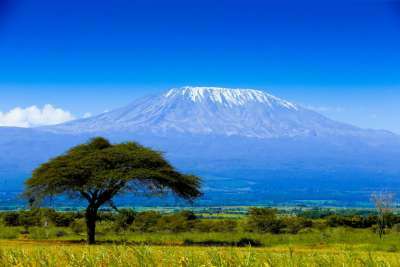 If you want to challenge yourself to a volcano trek there's a lot of reason why Kilimanjaro in Tanzania is a popular choice. It's the highest free-standing mountain in the world - but because of the warm climate close it is to the equator it's more accessible to novices than other peaks of a similar height. But don't go thinking you can make it to the top without any training at all - at 5,895 meters, this is no small challenge, and it usually takes people four to five days to reach the summit. As one of the world's most important eco-tourism destinations, the Central American nation of Costa Rica offers a chance to meet monkeys, sloths, humming birds and more - and you can add a visit to a volcano or three into that mix too. 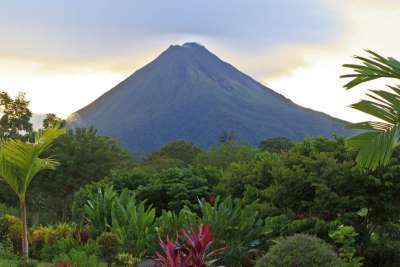 Arenal Volcano in the fertile lowlands is one popular choice. As well as climbing the volcano the surrounding area holds lots of adventurous activities, from ziplining through forest canopy to river rafting. Relaxing in volcanic hot springs is a great way to relax afterwards! These nine remote Portuguese islands in the Atlantic offer natural volcanic landscapes like no other - and you'll have a hard time deciding which ones to fit into your visit. 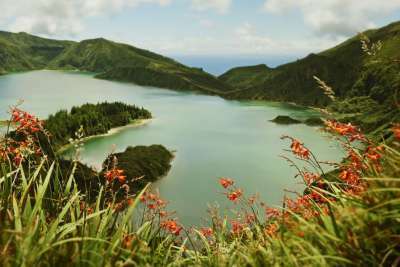 On the green island of São Miguel you can visit a series of volcanic peaks and craters, the highlight of which is the twin lake, Lagoa da Sete Cidades. The island of Pico is named for its towering volcano. And Faial manages to pack both lush green valleys and volcanic lunar landscapes into a small area. You might have to go a long way to see them, but New Zealand's volcanic landscapes are nothing short of spectacular. There's the Tongariro National Park, which stood in for Mordor in the Lord of the Rings films. It's home to one of the most famed treks on the North Island, where you'll cross volcanic plateau, riddled with crater lakes and the imposing peak of Mount Tongariro. 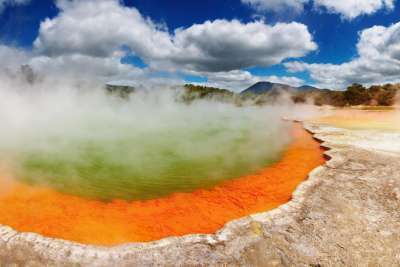 Or head to Rotorua, known for its bubbling mud pools and towering geysers.